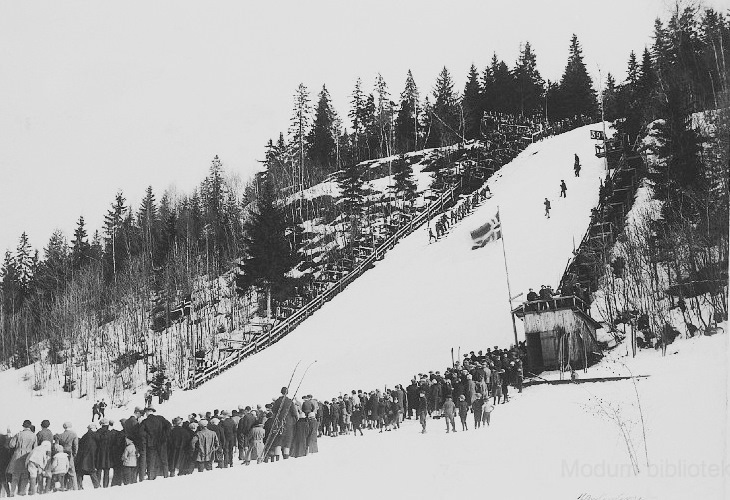 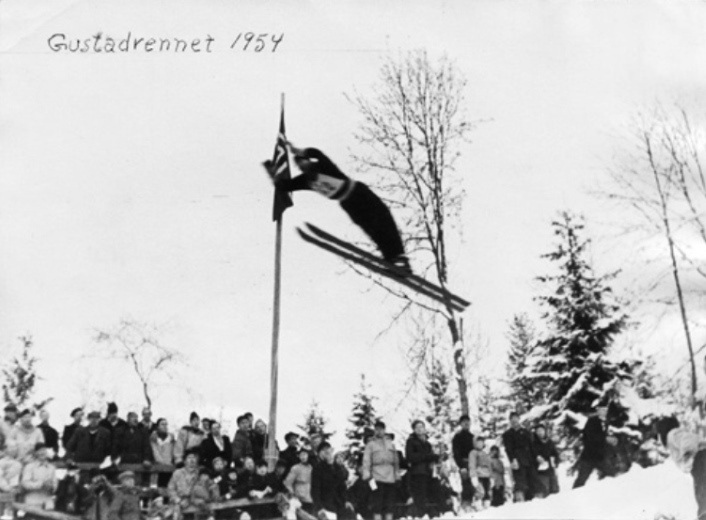 At Geithus near Modum – only few kilometres away of today’s ski flying hill at Vikersund – there was the biggest ski jumping hill of Norway at the beginning of the 20th century. 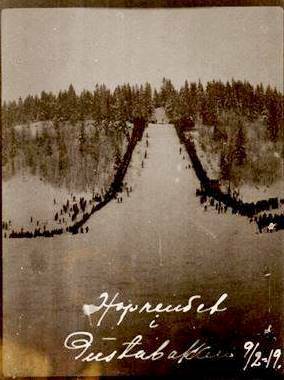 Nils Gjestvang jumped there a world record of 41.0 m in 1902 and ten years later Gunar Andersen set up a new world record of 47 meters on Gustadbakken again. 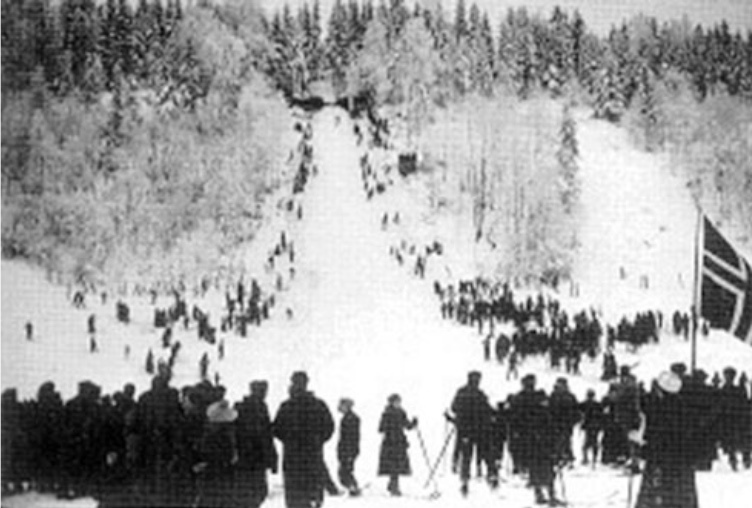 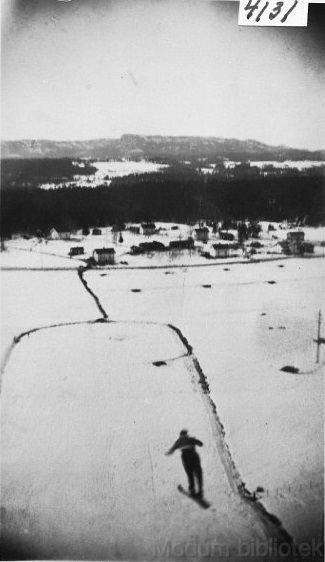 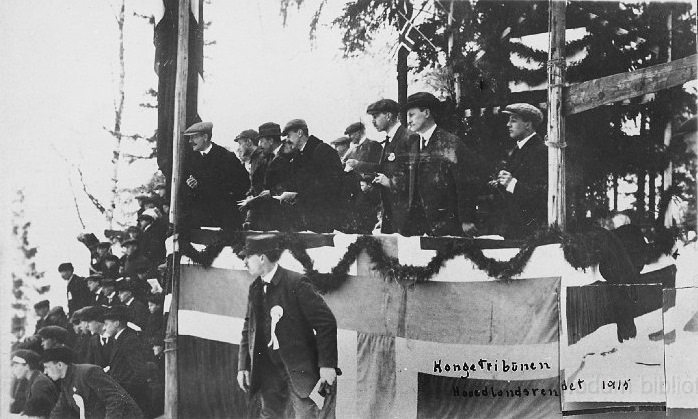 In 1915, the Norwegian Championships, the Hovedlandsrennet, was hosted there. 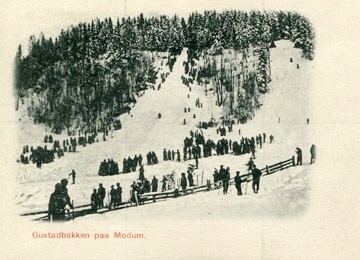 Gustadbakken was enlarged into a 60-meter hill in 1930's and thus the hill record could be increased up to 71.5 meters in 1951. 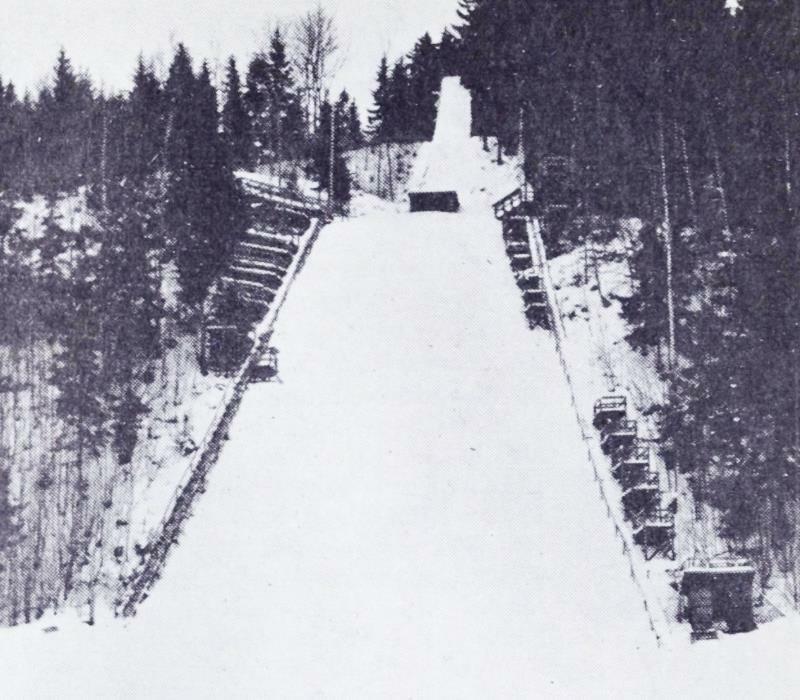 The last competition on the ski jumping hill in Geithus was organized in 1964.